1. For all above categories, computer operations and knowledge of MS-Officer and english typing is must. 3. All above-mentioned positions are purely on contract basis for one year and deputed to designated site as per requirement. Mention clearly in your application the position applied for, as per eligibility. 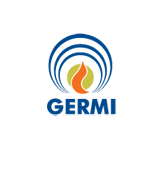 Duly filled application proforma with all documents should be sent to recruitment@germi.res.in on or before 6:00 pm (IST), 3rd October 2017 addressed to Director General, GERMI. No hard copy is to be submitted. All original documents should be carried by the shortlisted candidates at the time of interview.